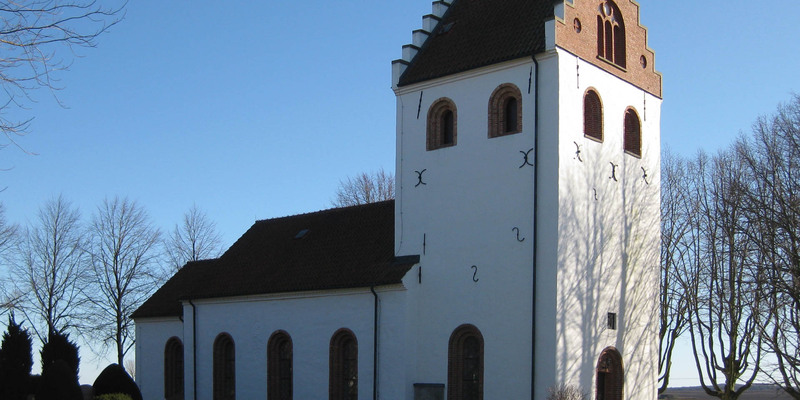 Igelösa Kyrka was built in the 12th century. 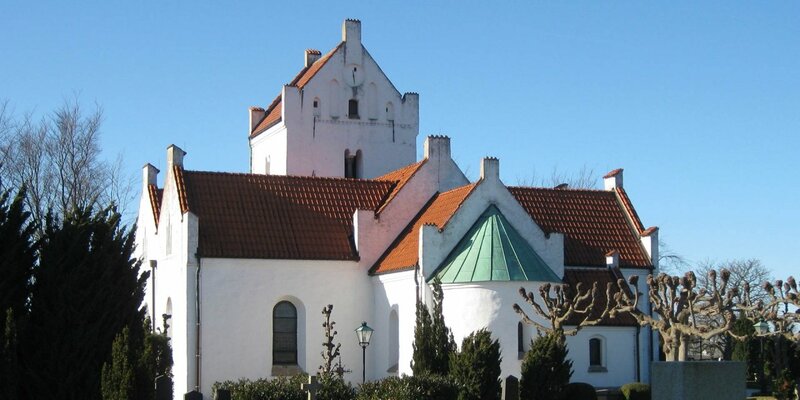 It is the well-preserved Romanesque church of the village Igelösa, located about 12 kilometers northeast of Lund. 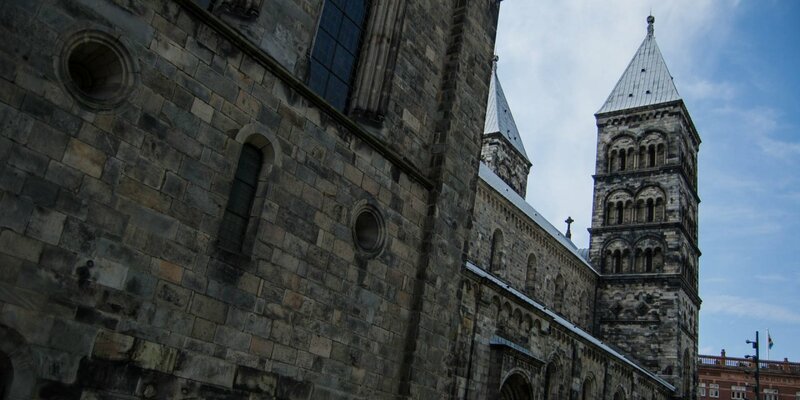 Originally, the Igelösa Kyrka consisted only of the nave with the choir and the small semicircular apse. In the 15th century, the inner arches and the church tower were added. The large extension on the south side, almost as large as the nave itself, was built in the 17th century as a chapel. 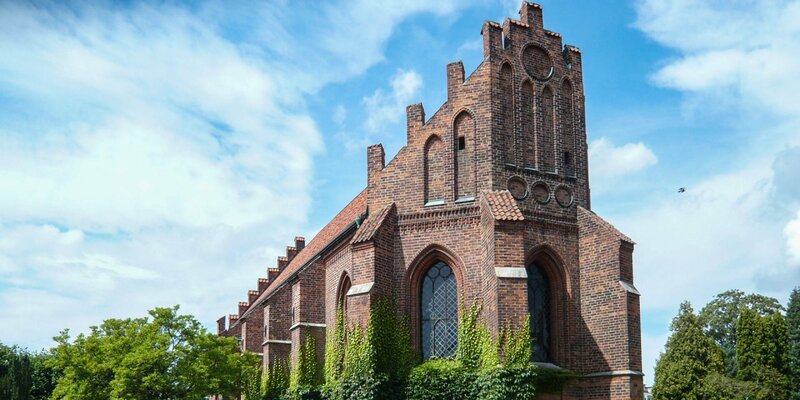 It contains the so-called Danish Crypt and the family tomb of the noble family Gyllenkrook, owner of the nearby Svendstorp Castle since the 18th century. The Gyllenkrook tomb contains two 18th-century marble sarcophagi with the remains of General Axel Ture Gyllenkrook and his wife Maria Hegart. The newer graves of the Gyllenkrook family can be found in the cemetery outside the church. The oldest object in the church is the baptismal font, which is as old as the church itself. Unusual is the rectangular shape of the basin, as baptismal fonts were generally round at that time. The pulpit and the altarpiece are inspired by the Baroque style and came in the church in 1752.